Is snoring a problem for you? NightLase is a non-surgical path to a good night’s sleep. NO PAIN. NO SURGERY. NO ANESTHETIC. NO RECOVERY TIME. NightLase therapy is a NON-INVASIVE treatment for snoring and sleep apnea. NightLase reduces the effects of sleep apnea and decreases the amplitude of snoring by means of a gentle, laser-induced tightening effect caused by the contraction of collagen in the oral mucosa tissue. A full course of NightLase consists of three separate treatment sessions over a six week period. 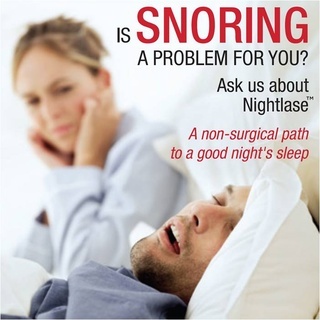 NightLase is a fast and safe way for sufferers of snoring and sleep apnea to increase the quality of their sleep. It has an extremely high success rate in producing a positive change in sleep patterns. Research has shown that NightLase reduces snoring and provides an effective, non-invasive way to lessen the effects of sleep apnea. 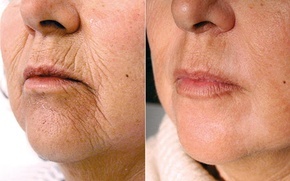 SmoothLase™ dramatically reduces wrinkles without the need for injectables. This is accomplished intra-orally, leaving no redness or bruising.